Vampire Character Halloween Costumes – Who Will you Go As? It’s almost Halloween! That wonderfully eerie time of year when we dress up in fabulous costumes and consume mass amounts of unhealthy food and drinks! Yay! The best part of course is the costumes. What’s more fun than being a vampire for a day? You could go the easy route by hitting up a costume store and buying a cliché pre-made vampire costume, or you can make one of your own based on your favorite vampire character. Check out some vamptastic costume ideas below! 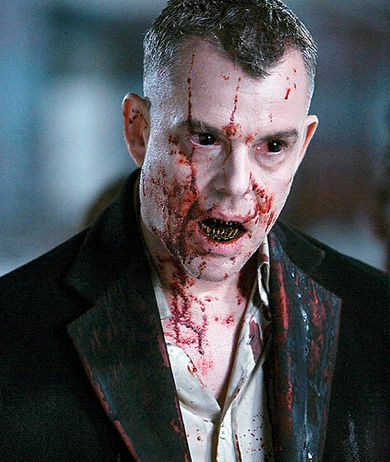 Skinner Sweet is the wonderfully wicked vampire from the highly popular American Vampire comic series – and he would make a kickass costume. All you need are some large vampire fangs, some rugged old west clothes, guns, a piece of candy hanging from your hat, and you are good to go. 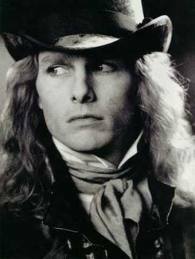 Anne Rice’s Lestat would be such a fun costume! Get some fangs, lavish period clothes, a blond wig if you must, and be the Brat Prince for a night. It’s been done to death, but you can always go the classic Dracula route. 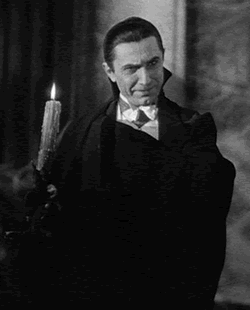 Embrace your inner Bela Lugosi! All you need is a starch white shirt, black pants and a black high-collared cape. 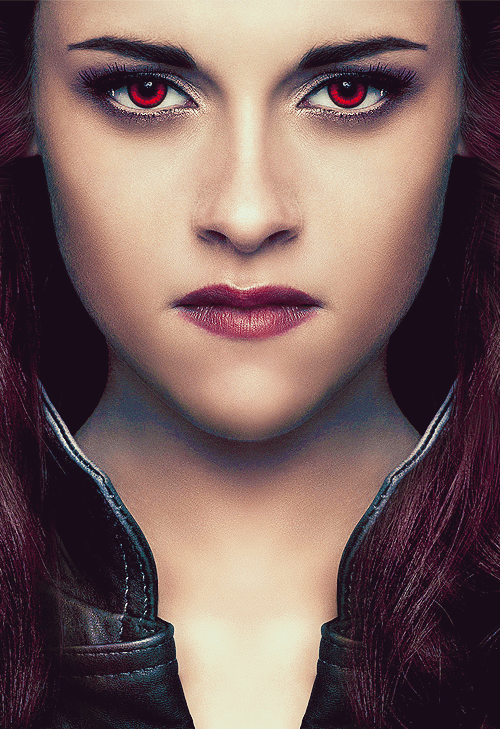 Then slick your hair back, pop in some fangs, and you’ve got the classic vampire look. This is a popular costume idea. It’s not the most exciting, but it’s easy. You only need red or golden contacts and body glitter. Simple! 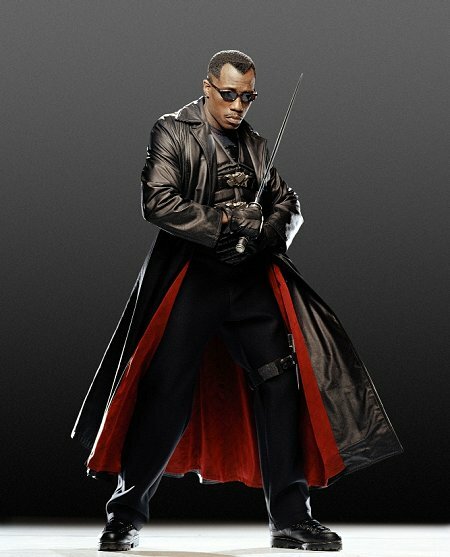 If you want to be a total badass, you can dress up as Blade! Get yourself an awesome leather coat, some boss sunglasses, fangs and shiny weapons. If you’ve got the body for it, then go for it! Please please go for it! Few vampires are sexier than Selene from Underworld with her super hot leather body suit. Get yourself a curve hugging leather catsuit and rock it. Another Anne Rice character! I have seen Akasha costumes in the past and they were so good they won costume contests. Akasha is a hot and deadly costume to wear. It’s another one that requires a perfect body, but like I said, if you’ve got it, then go for it. Halloween is a day you can be free to wear whatever you like. This is a costume that may be hard to exactly match though, you have the incredible outfit and the gorgeous headdress. Not easy to find or make. But if you do it’ll be amazing. If you want a scary look, this is an easy one to do. Get some crazy fangs and cover yourself in blood splatter. 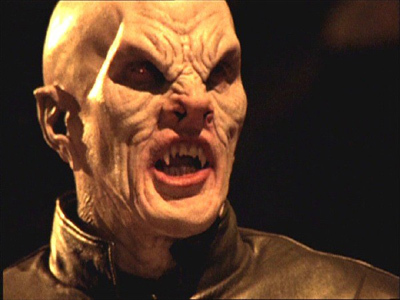 The Master from Buffy the Vampire Slayer is a costume I want to see SO badly. The guy looked horrifying! This costume would require some serious skills in special effect makeup. It would be so worth it to get it done. Those are just a few of my ideas for character costumes. What vampire costumes do you suggest? And of course, who are you going to be for Halloween? I will have a pair of “Scarecrow:Saber Fangs”, Claws made by this guy on ebay, lots of blood, a cross shaped burn, black clothes, and a little button that says “Vampires Don’t Sparkle!”. LOL. I tried to get the “Lost Boys” contact lenses to go with it but unfortunatley they won’t ship in time for Halloween. Well, theres always next year. Oooooh….next year I’m really gonna do it up! Oh, it turns out I will be getting those conact lenses after all.